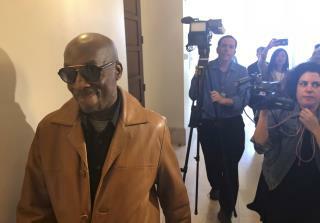 (Newser) – A Northern California groundskeeper said Wednesday that he'll accept a judge's reduced verdict of $78 million against Monsanto after a jury found the company's weed killer caused his cancer. Dewayne Johnson's attorney formally informed the San Francisco Superior Court that he wouldn't contest the judge's decision to reduce a jury's original $289 million award. Johnson could have demanded a new trial. A jury unanimously decided in August that Monsanto's Roundup weed killer caused Johnson's cancer. His doctor testified that the 46-year-old has less than three years to live. Johnson's spokeswoman says his attorney disagrees with the judge's settlement reduction, but will accept the lower amount in hopes of achieving "a final resolution within his lifetime."